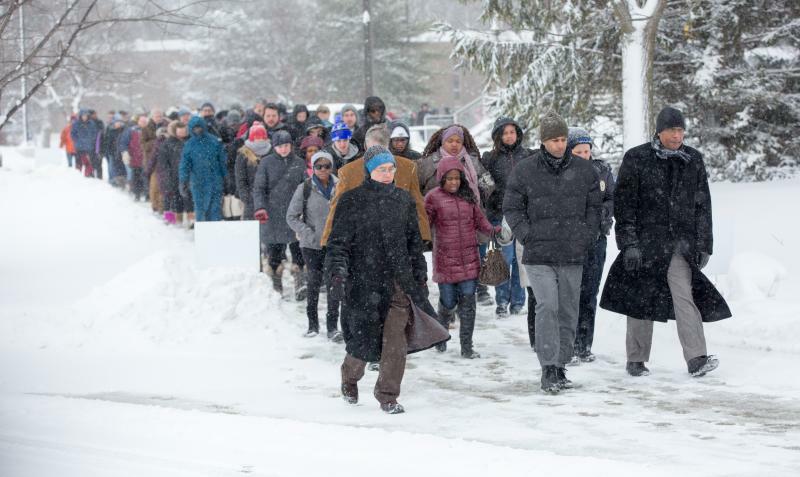 Despite having the day off from class, and despite it being freezing and wet outside, hundreds of Grand Valley State University students and faculty turned out for a silent march across campus in observance of Martin Luther King Jr. Day. “Ever since I have been here it’s been a silent march, because we want people to concentrate and really think about the moment and put themselves in the shoes of Dr. King and others,” Bobby Springer, the Associate Director of the Office of Multicultural Affairs at Grand Valley State University said. The march ended at the school fieldhouse, where activist April Reign gave the keynote address. Famous for criticizing The Academy Awards for not having enough Oscar nominees of color through the twitter hastag “oscarssowhite,” Reign called the students to action. “On MLK day, we must ask ourselves, how much change is being made, and what we are doing to enact that change,” Reign said. The Silent March at GVSU kicked off a week of Martin Luther King events at GVSU ending on Saturday with an MLK Day of Service and Solidarity. A complete list of events can be found here. Activist, Author and creator of the website BK Nation, Kevin Powell, was keynote speaker at Grand Valley State University’s Martin Luther King Day celebration. 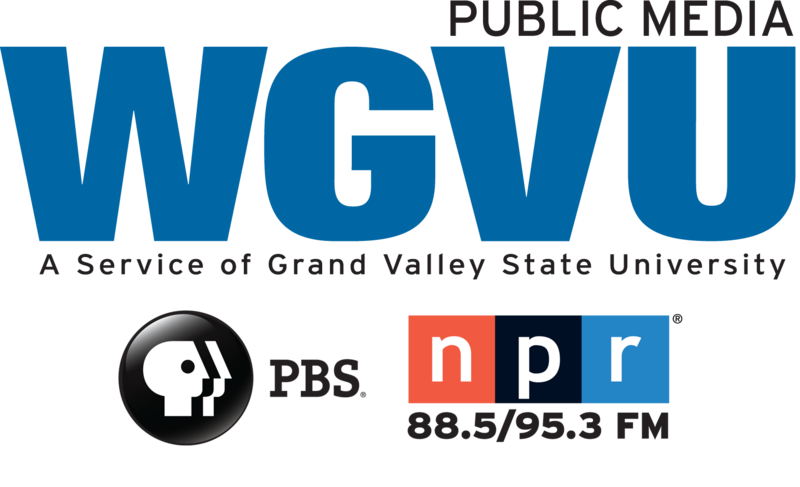 WGVU asked Powell about the future of race relations in America following the contentious 2016 Presidential Election. The Kids’ Food Basket weekly provides sack suppers to nearly 7,000 kids. Officials there say about 50,000 children living in Kent, Muskegon and Ottawa counties don’t get enough food. As part of the Martin Luther King Jr. “Day of Service” activities, a group of Spectrum employees spent some time helping out at Kids’ Food Basket as their way of giving back. The 1963 civil rights march led in Detroit by the Rev. Martin Luther King Jr. will be re-enacted at the Michigan state Capitol in Lansing as part of Black History Month. Secretary of State Ruth Johnson will join other elected leaders and community officials Tuesday morning on the west side of the Capitol building. The March for Freedom reenactment will proceed to the Richard H. Austin building where a program highlighting Michigan's role in the civil rights movement will be presented.